This entry was posted on Thursday, April 16th, 2009 at 1:09 pm	and is filed under Cryptography, Elcom-News, General, Security, Software. You can follow any responses to this entry through the RSS 2.0 feed. Both comments and pings are currently closed. Two seconds on password recovery???? Great result!!! 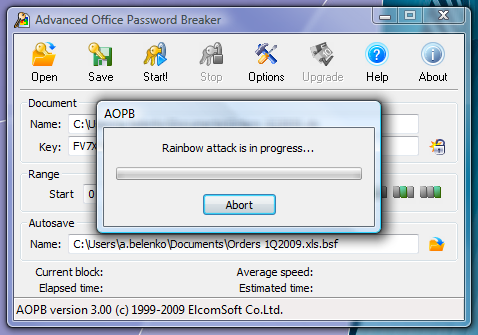 Advanced Office Password Breaker does not support files with the extension Rainbow Tables. Rt. 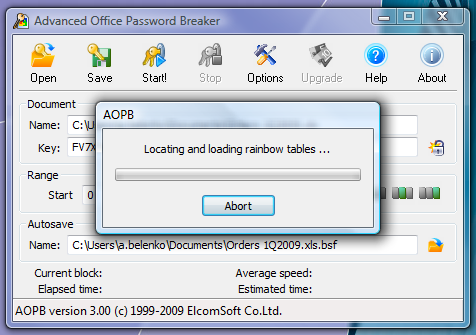 When he points to the directory of the file, it displays a message that was not Rainbow Tables. 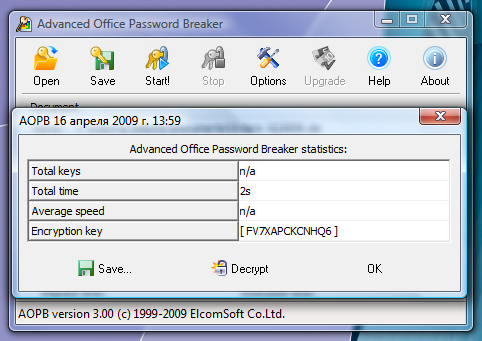 What exactly is a program to create a file to be seen Advanced Office Password Breaker. We use our own tables (they are shipped with the enterprise version of the software).